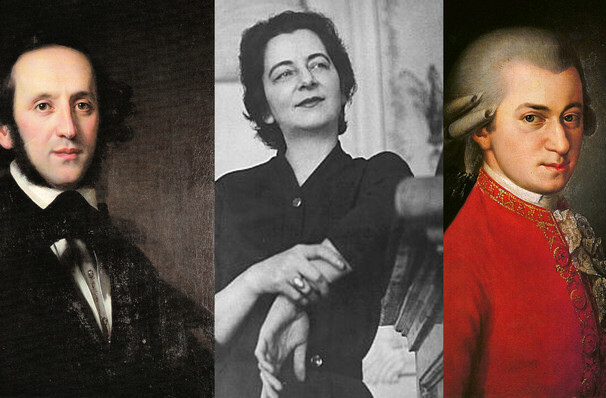 Why See Boston Symphony Orchestra - Bacewicz, Mozart, and Mendelssohn? The BSO couple this effervescent work with Grazyna Bacewicz's (one of the few celebrated female composers of her era) Concerto for String Orchestra which garnered the composer the Polish State Prize in 1950. The two Concertos are joined by Mendelssohn's fifth symphony 'Reformation', a stirring work which is inspired by Martin Luther's great hymn 'A Mighty Fortress Is Our God' and was written in celebration of the 300th anniversary of reformation. Sound good to you? 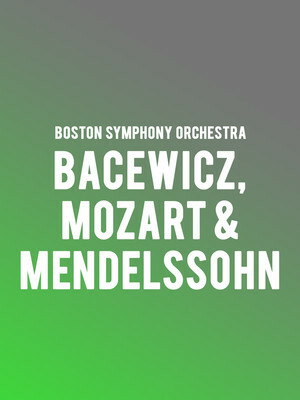 Share this page on social media and let your friends know about Boston Symphony Orchestra - Bacewicz, Mozart, and Mendelssohn at Boston Symphony Hall.